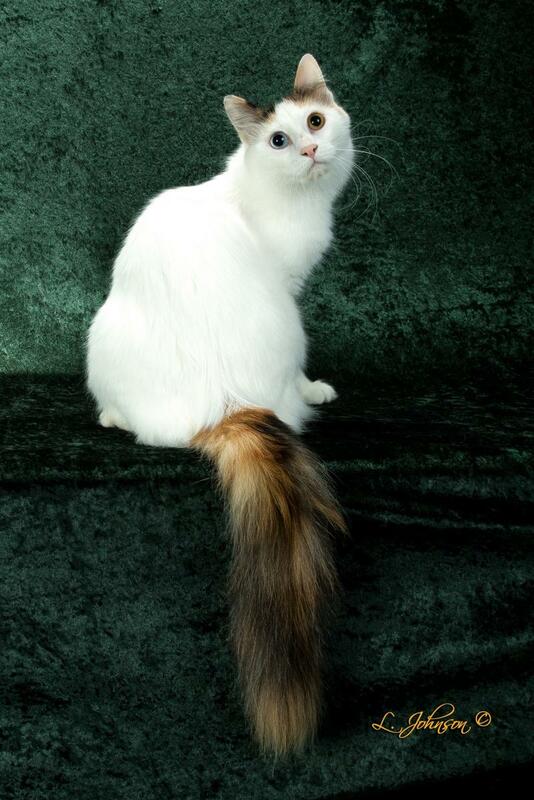 RW SGC Tatvan Heather Teter, Regional Winner for 2015-6, 2nd best Turkish Van in TICA and current odd-eyed queen. Above, Halima Kamile of Tatvan, a blue eyed tortie and retired queen. GCA Tatvan Farah, an amber eyed tortie and retired queen . Tatvan Zada, odd eyed current queen below. GCH Katyenka, current queen below. DGC Tatvan Meleke Latifa, retired queen below.